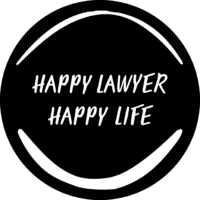 Happy Lawyer Happy Life The Club - What you have access to! Over the past few years, I’ve worked hard to build a law business that I love that fits with the lifestyle I want to have. All because I do (mostly) love being a lawyer and want the chance to keep being a lawyer for a few more years to come. In doing so, I’ve connected with a broad range of talented professionals and advisors who have helped me with business strategy, marketing and to generally grow my business. The idea behind “The Club” is to bring together a great pool of knowledge in one place for a community of lawyers who are all looking to change the way our profession operates in the future. As well as the capacity to access 1 on 1 coaching from Faculty Experts on legal, business and wellness.